The best New Orleans nursing home abuse and neglect lawyers know America's population is aging. This is, in general, a good thing. It means that people are living longer and healthier lives, and hopefully getting more fulfillment. But, there is no denying that the aging of our country's population is also starting to present a few large-scale problems. Great Louisiana nursing home abuse and neglect attorneys understand that Social Security, for example, is a commonly discussed issue because of the potentially wide-ranging impact on millions of people if changes are implemented. However, there is another, less commonly discussed problem regarding our aging population and elderly people in general that has only been creeping out of the shadows in recent years: nursing home abuse and neglect. Generally speaking, elder abuse as a social issue is only going to become more of a problem as time goes on. Nursing home abuse and neglect is a subset of this broader issue, but perhaps the biggest threat to elderly people. While millions of families do their best to care for aging family members to the best of their ability, the simple fact is that many elderly people require the dedication of time and resources that simply aren't available to many families. As a result, families in this type of situation will consider admitting their elderly relative into a nursing home or assisted living facility. Most do so with a heavy heart, but many of these facilities offer top-notch care with the type of attention that elderly residents need. Sadly, some of these types of facilities do not provide the level of care and attention that family members and elderly residents expect. Nursing home abuse and neglect is beginning to become a more well-known issue, especially as high-profile cases make the evening news. And nursing home abuse and neglect can come in many different forms. Financial abuse can occur when caretakers breach the level of care they are supposed to exhibit as the person in charge of an elderly person's financial resources. Physical abuse, of course, is a concern as well, as is mental abuse. 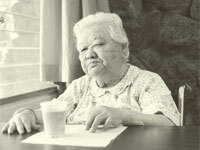 These assertive acts are the most egregious forms of elder abuse, as members of nursing home staffs throughout the country have been caught striking an elderly resident or "bullying" them in some form or fashion. While these types of incidents are terrible, there have even been instances of sexual abuse in nursing home settings. Family members who discover that an elderly relative is suffering from this type of abuse can be devastated and may seek legal options. Neglect is also a concern. Nursing homes are expected to be fully staffed and able to meet the needs of residents at all times. But, the reality is that there have been many cases of elderly residents suffering from bedsores, dehydration, or malnutrition because of nursing home staff members who do not fulfill their duties. Besides nursing home staff members, even the medical professionals employed in these facilities can be negligent as well, perhaps neglecting to check on patients at regular intervals, doling out improper amounts of medication, or failing to recommend medical treatment that may become necessary. Family members who have elderly relatives in a nursing home or assisted living facility will likely try to find out what the warnings signs are that their loved one is suffering from abuse or neglect. Family members may observe a change in the resident's behavior, perhaps becoming withdrawn or skittish. Or the elderly family member may lash out violently unlike ever before or cower in fear. Others, if the situation is bad enough, may just give up. Families who encounter such a sordid situation can report the abuse or neglect to the proper authorities, and they may also be able to pursue a lawsuit against the nursing home and particular members of the nursing home staff. Making it known that these types of activities are taking place in a nursing home or assisted living facility may lead to financial compensation, and it may also lead other families to avoid placing family members in a similar situation.